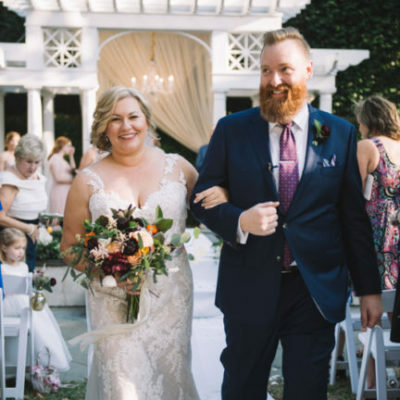 Ginny and Daniel first met three years ago at work. 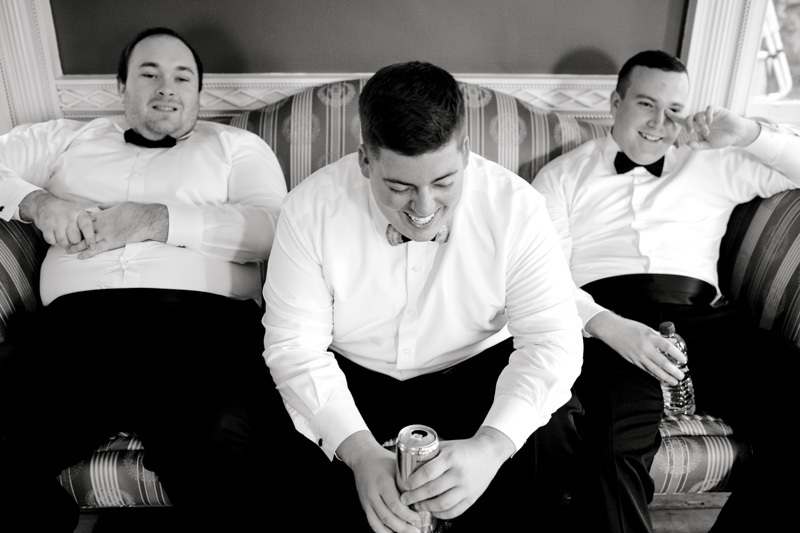 After a few months of doggie play dates, their friendship turned into something more! 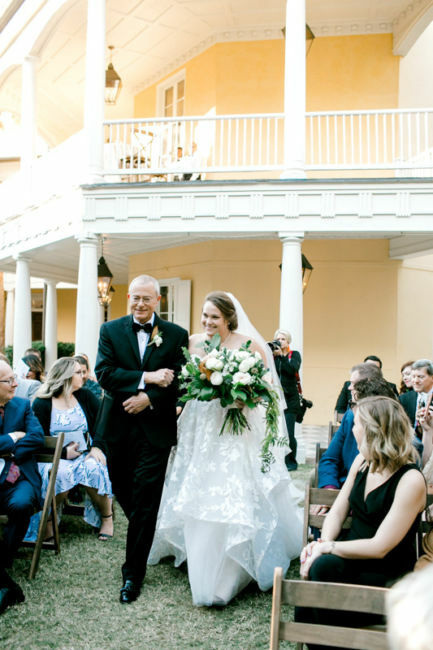 On the day of their engagement, Daniel and Ginny were walking down the beach on Sullivan’s Island when their dogs ran up to them wearing “Maid of Honor” and “Best Man” shirts. 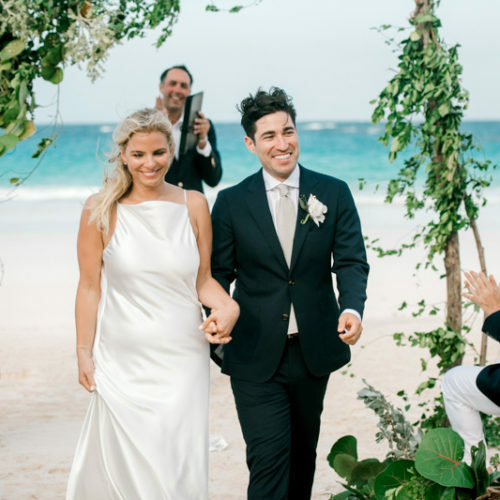 When Ginny turned around, Daniel was down on one knee – a man’s best friend really knows how to pull off the sweetest engagement! 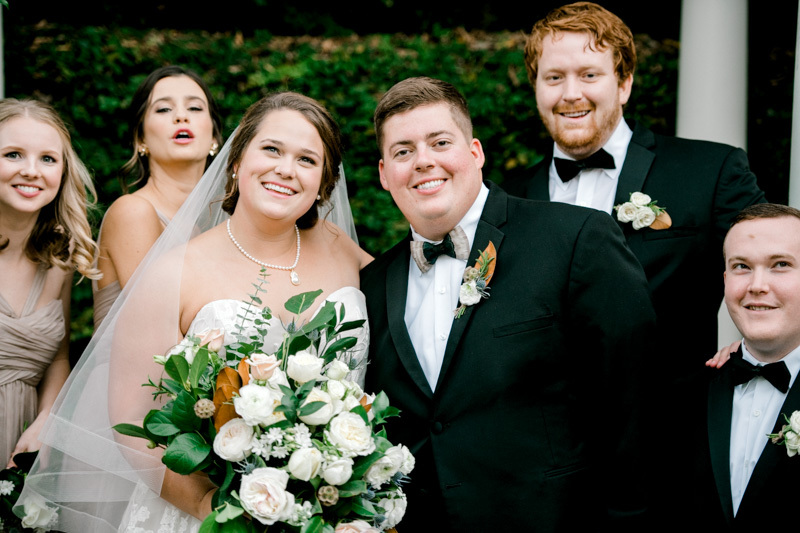 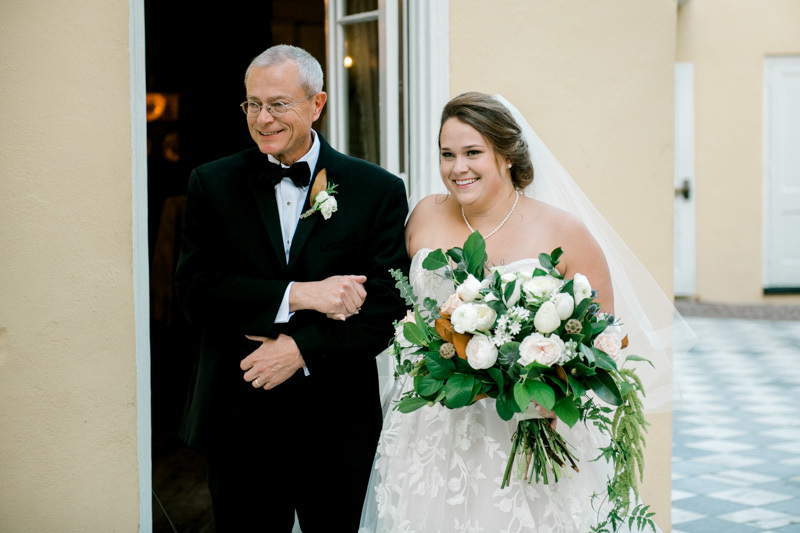 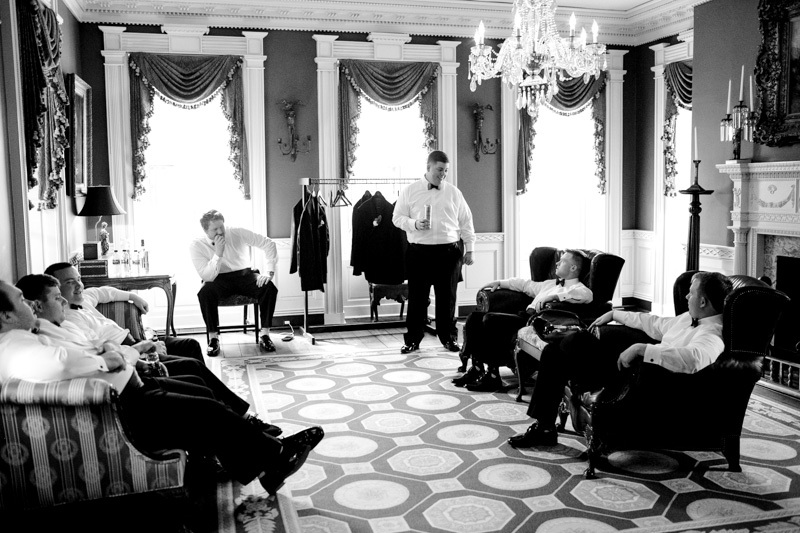 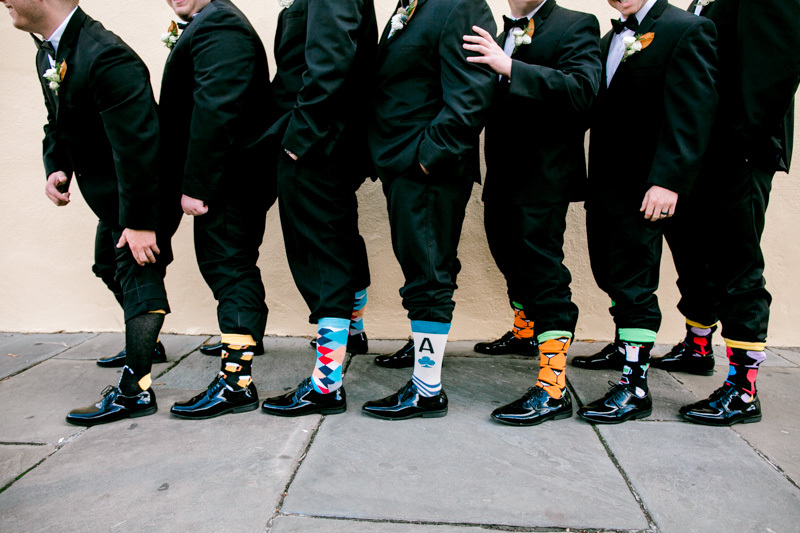 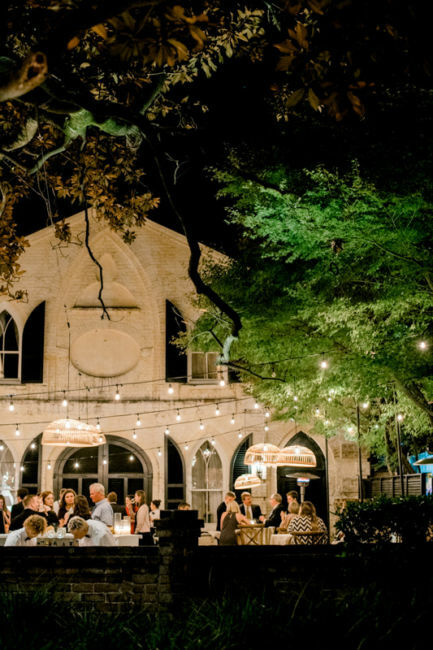 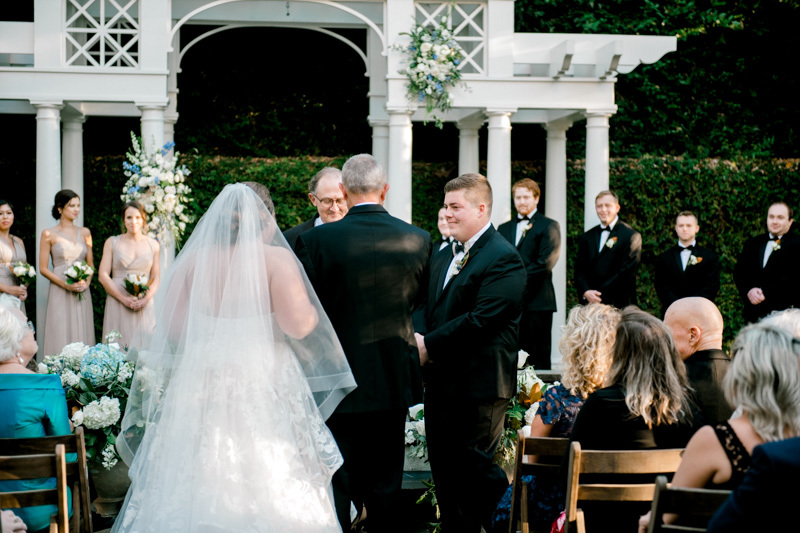 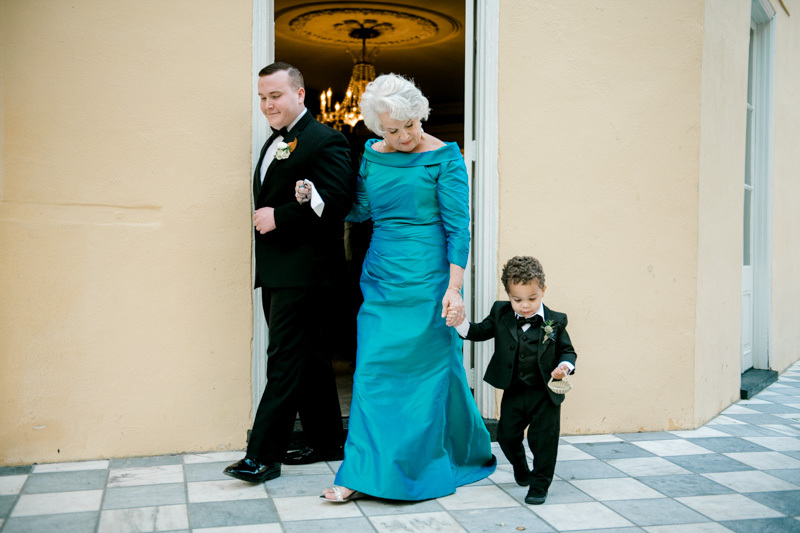 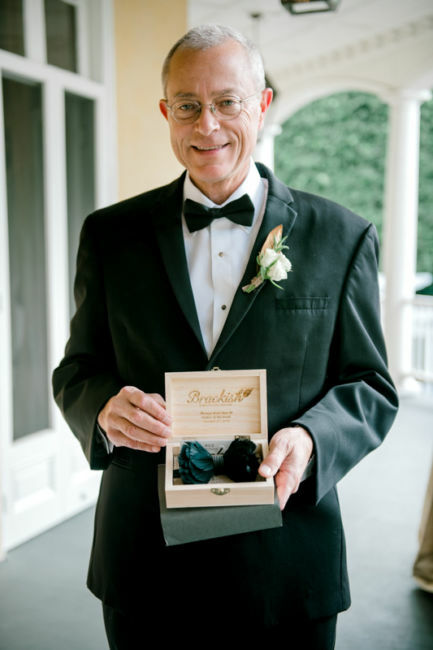 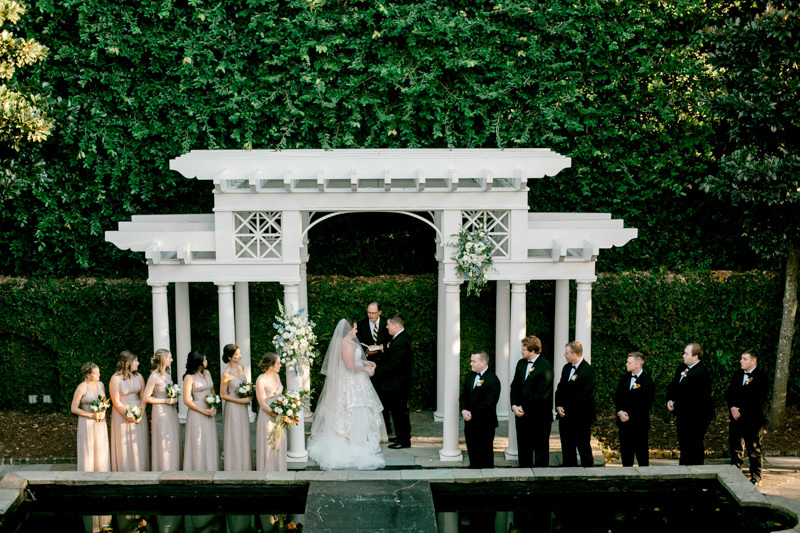 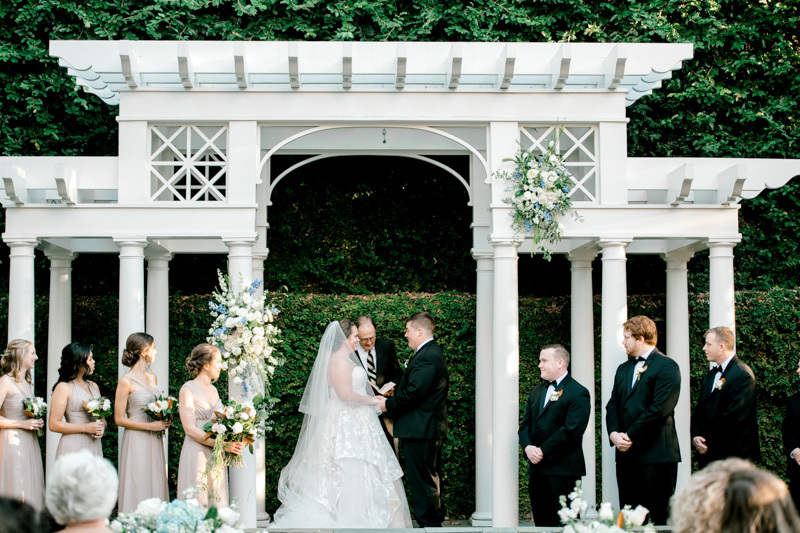 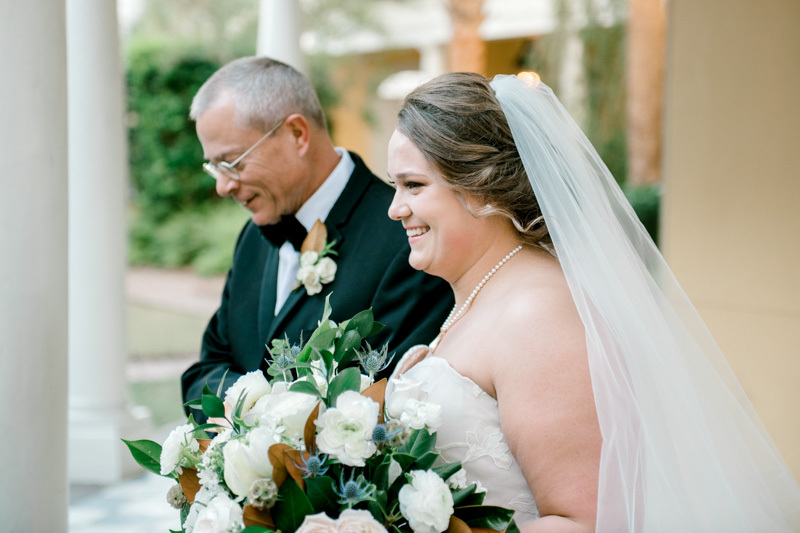 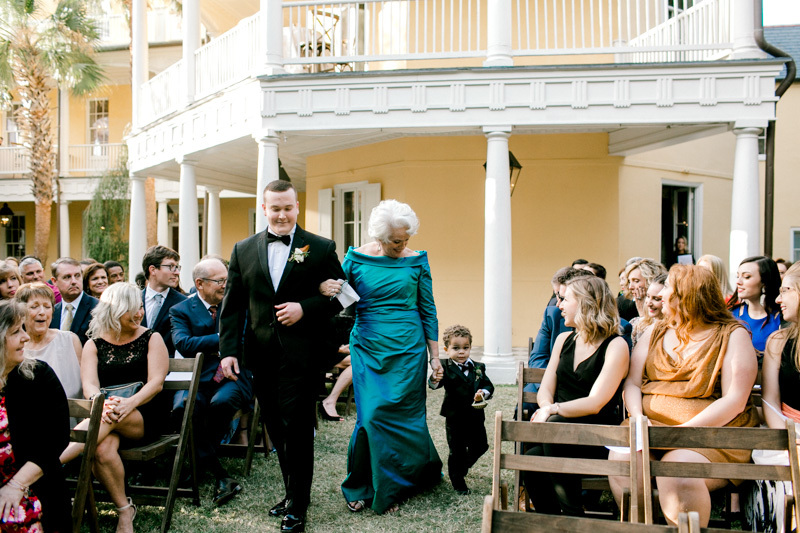 Ginny and Daniel wanted to have a classic, southern, and laid-back wedding. 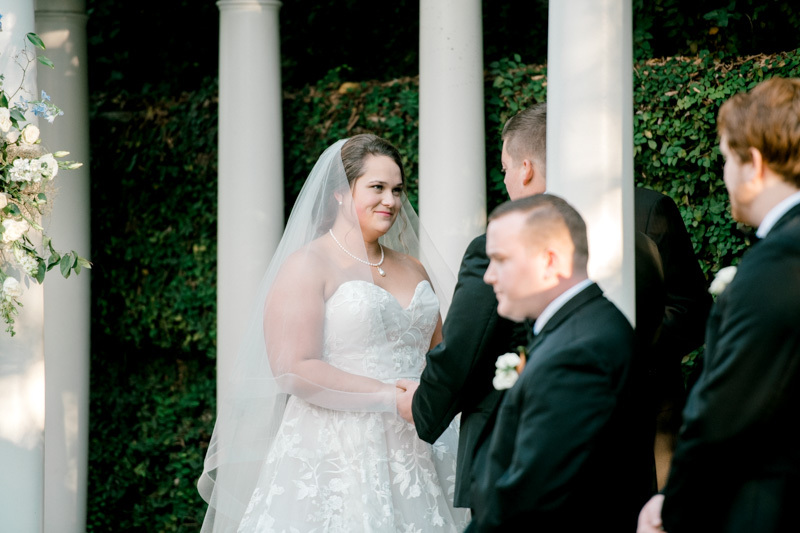 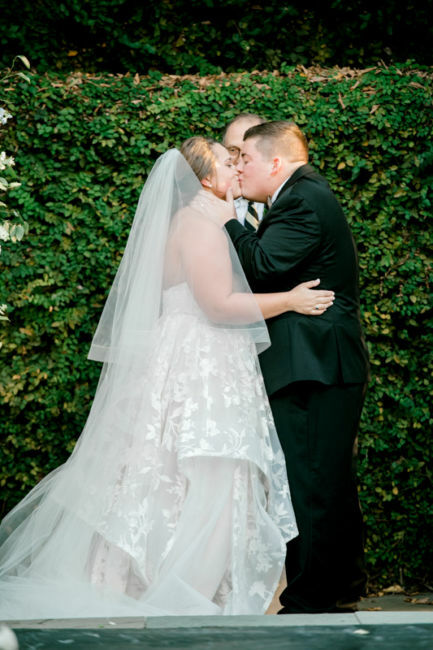 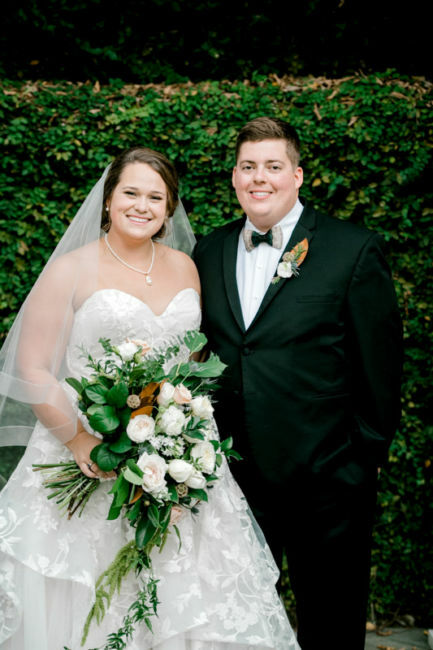 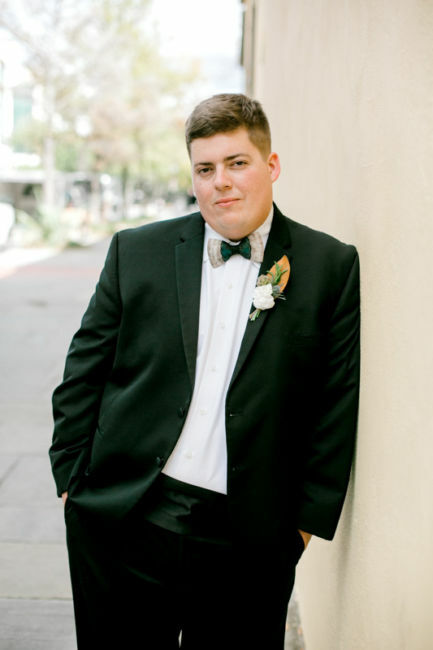 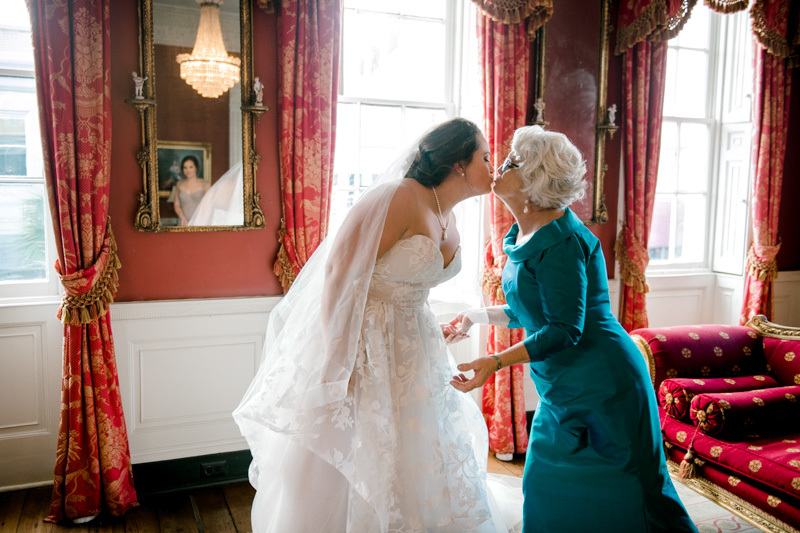 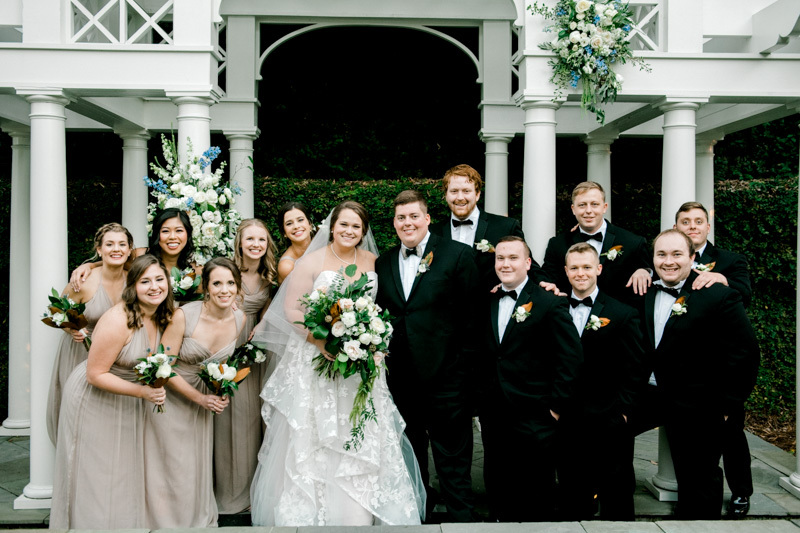 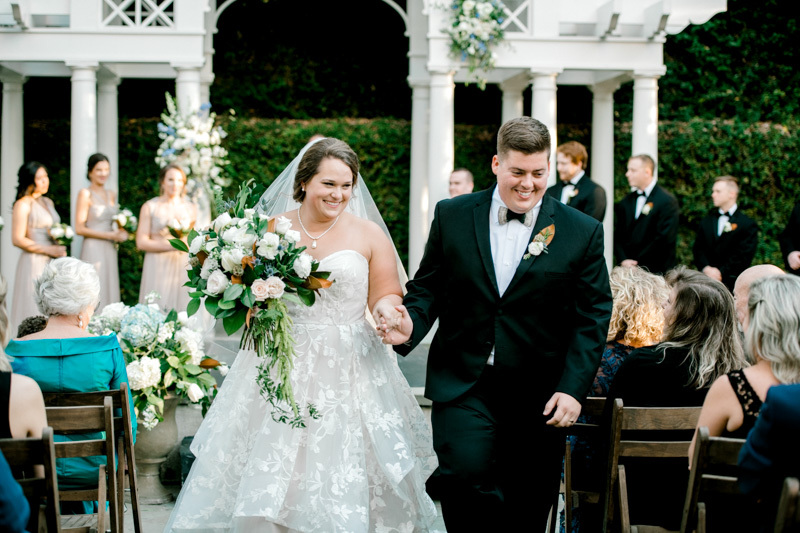 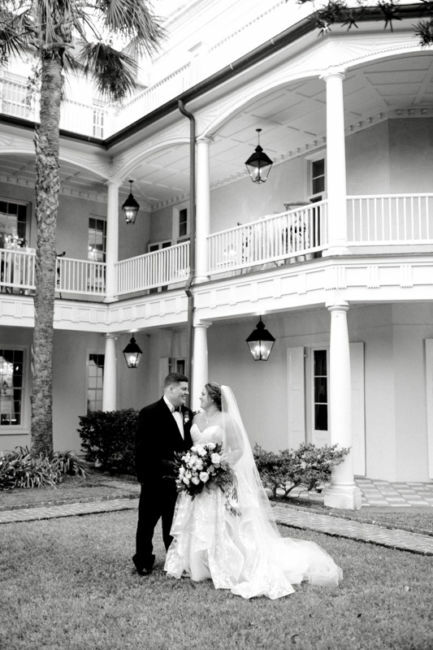 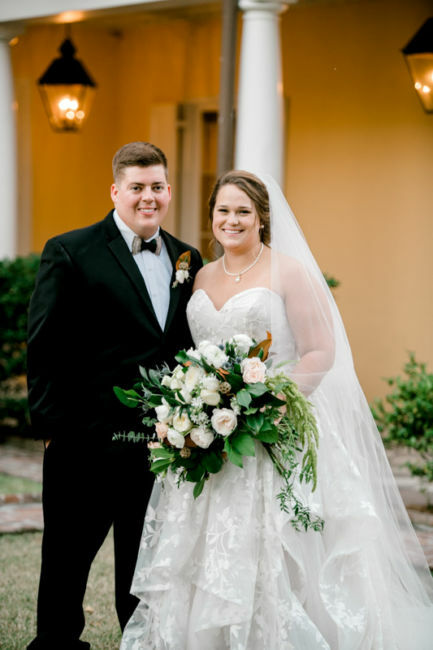 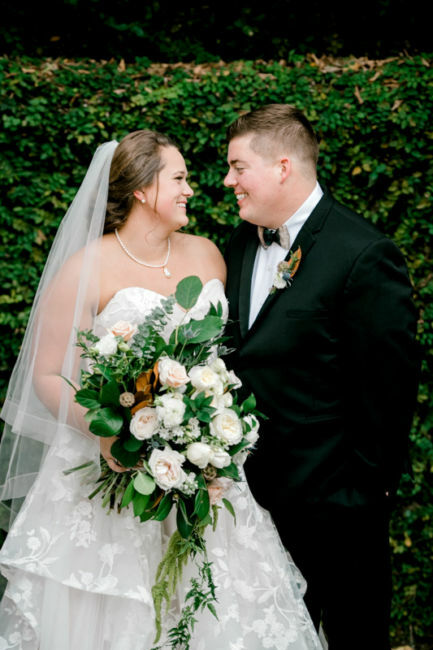 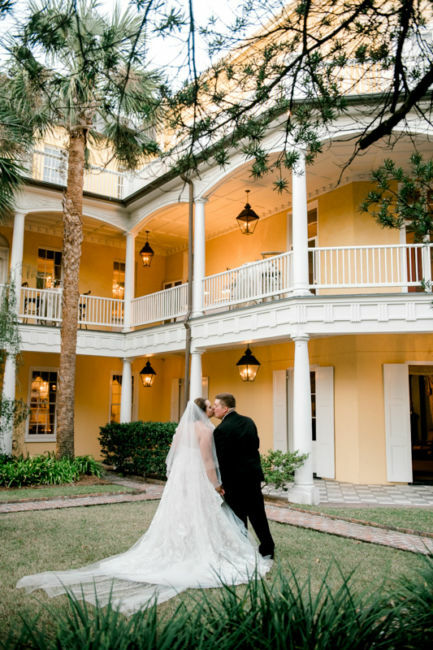 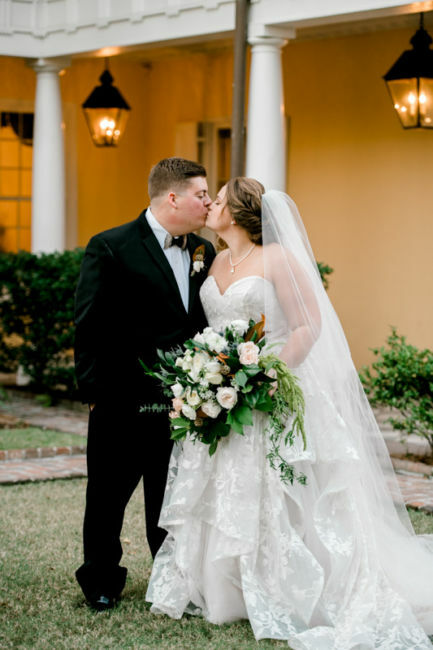 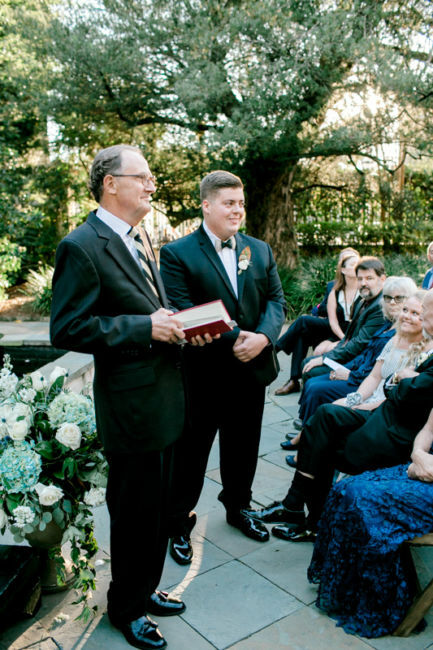 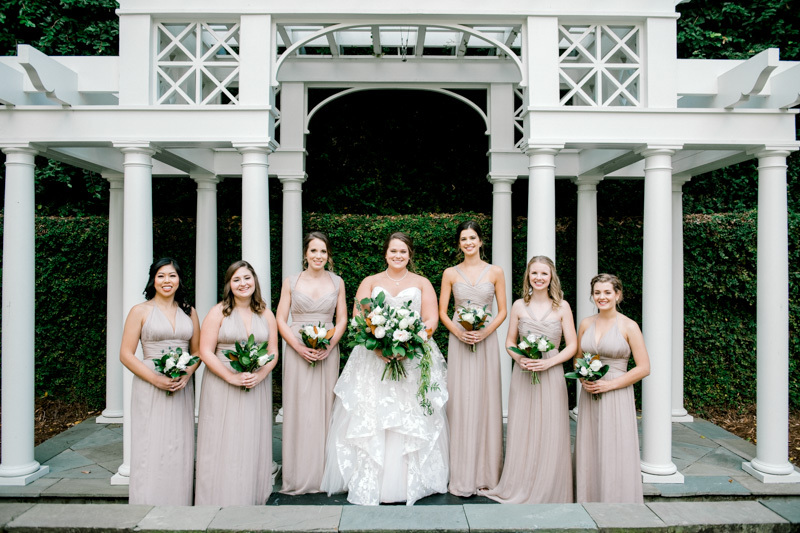 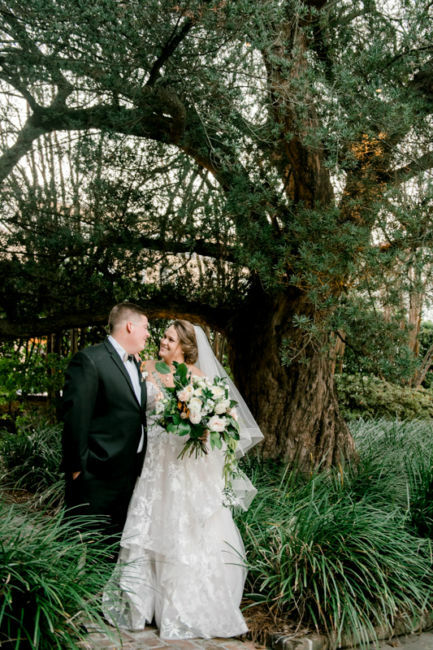 They tied the knot on October 27th, 2018 at the William Aiken House. 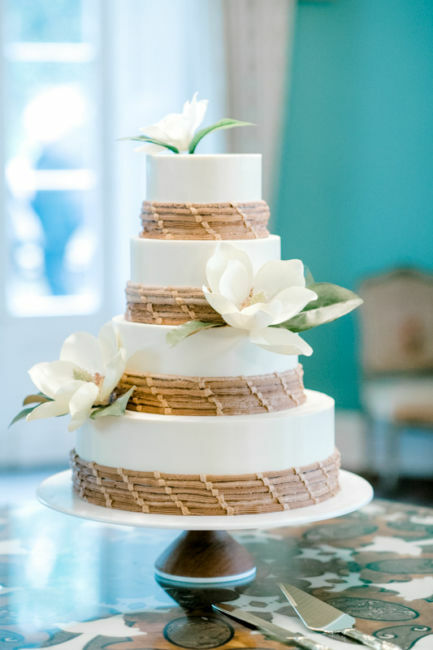 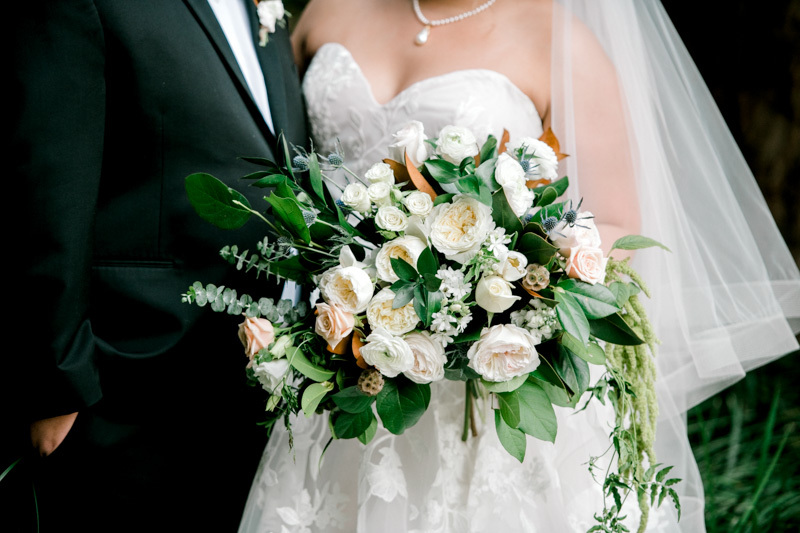 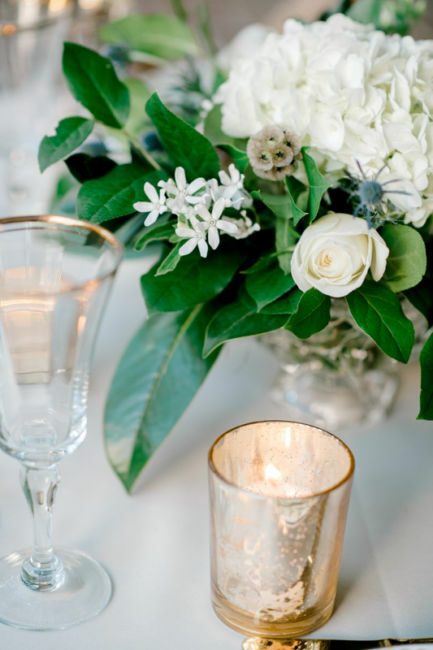 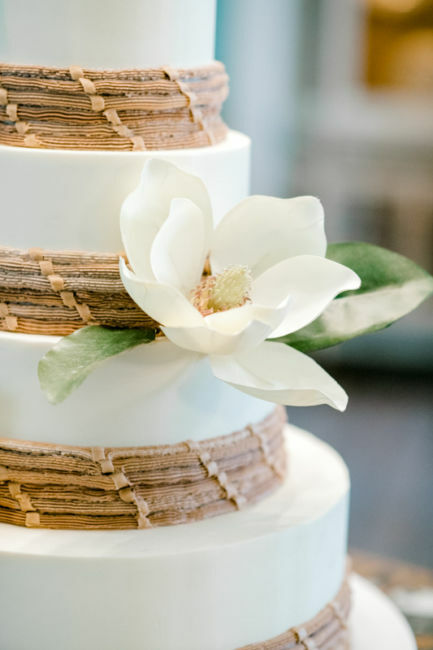 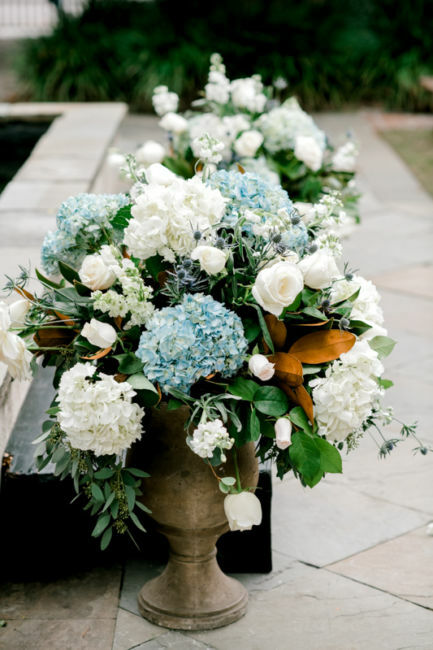 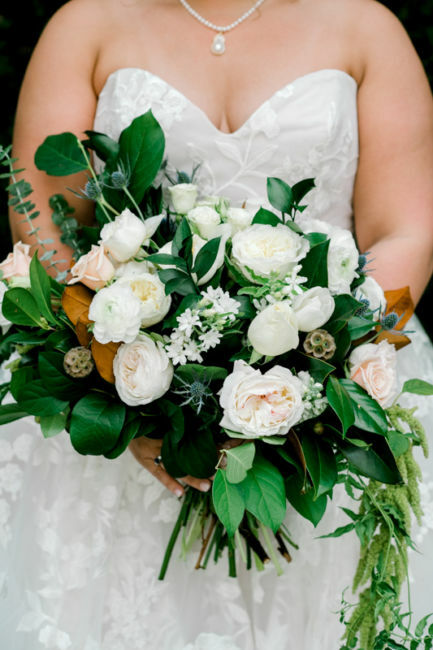 The soft white flowers with the rich sweetgrass elements and magnolia leaves added to the classic and southern feel. 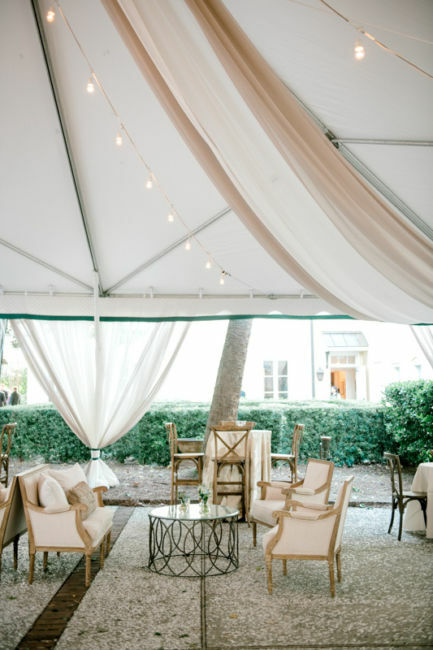 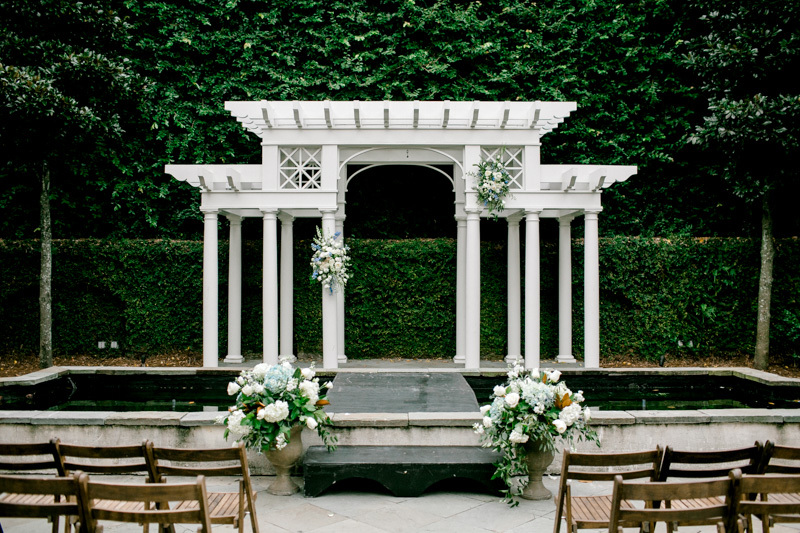 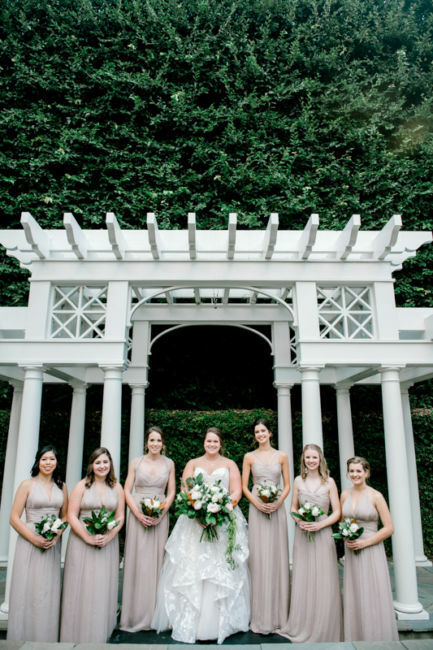 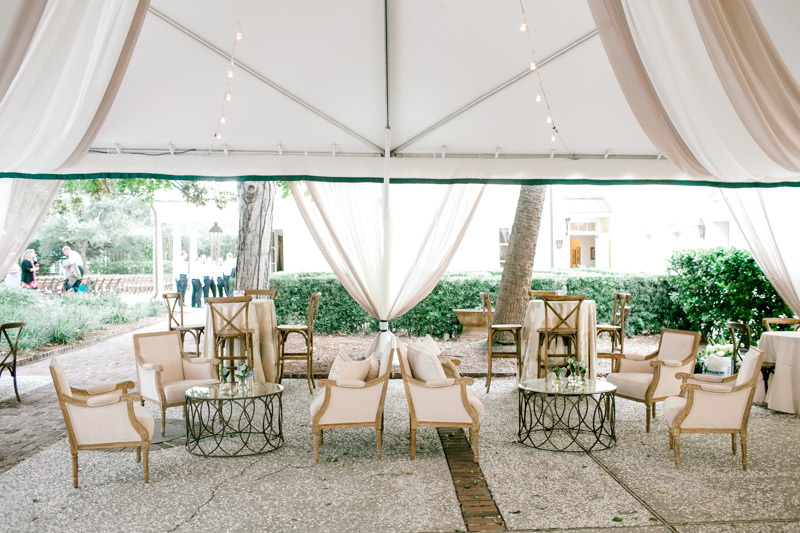 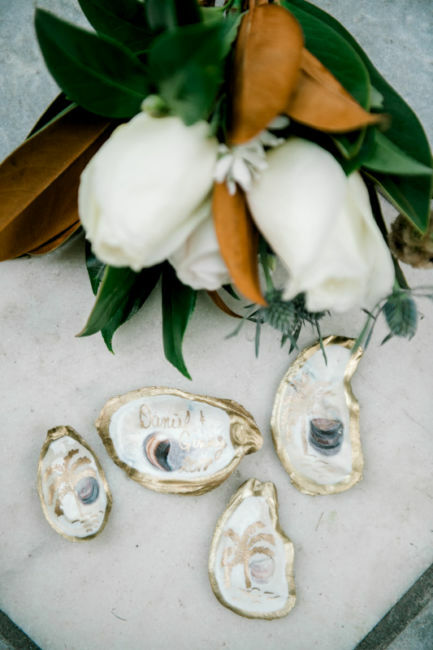 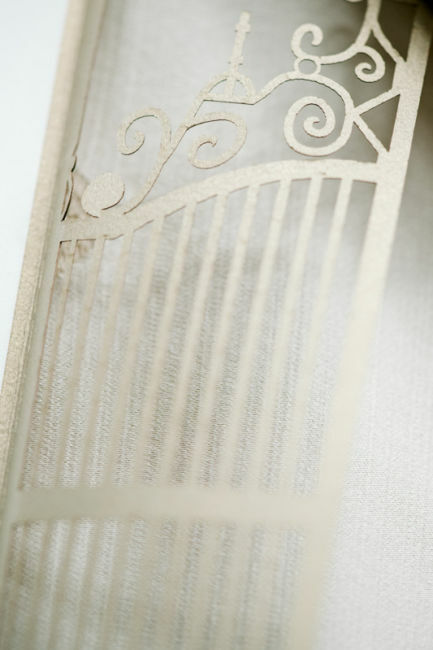 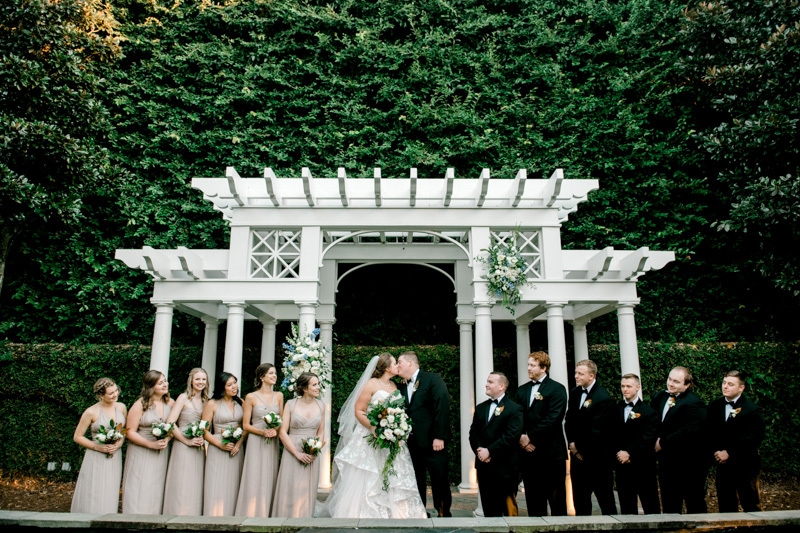 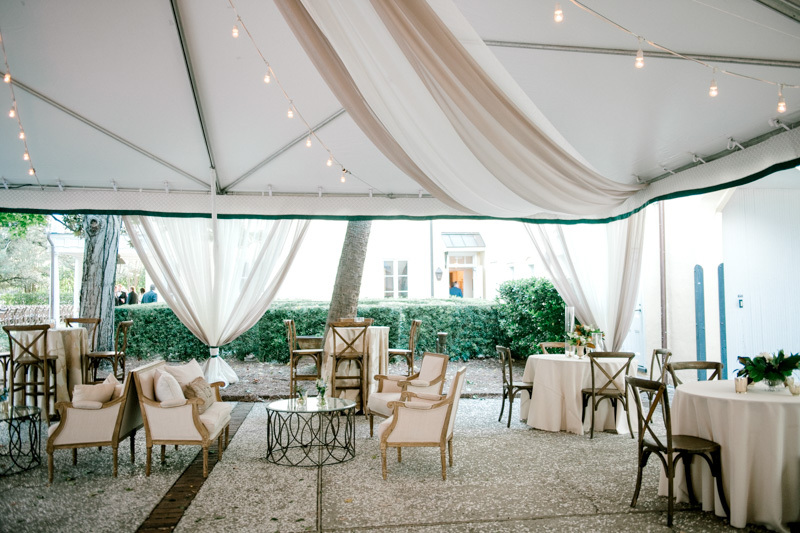 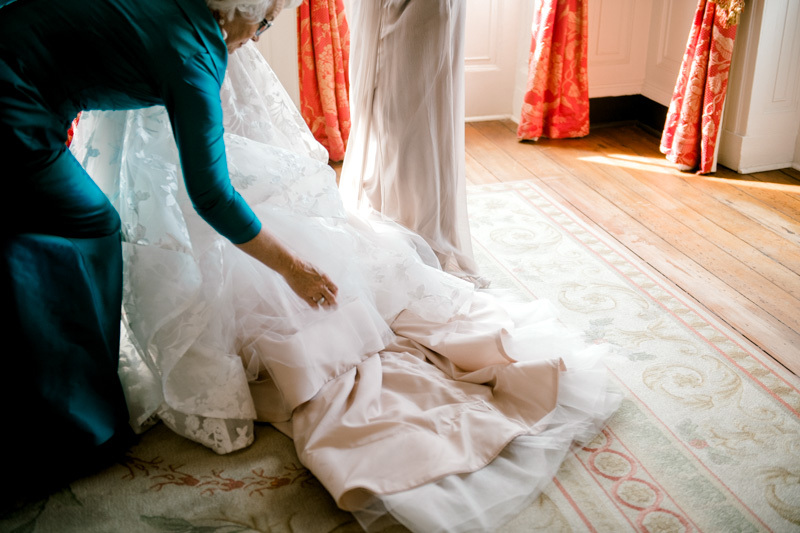 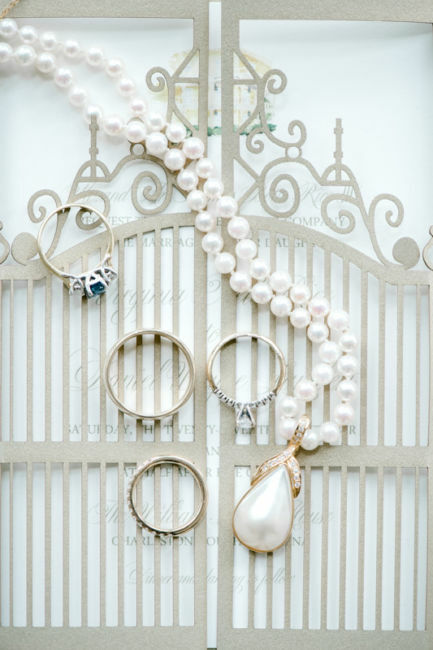 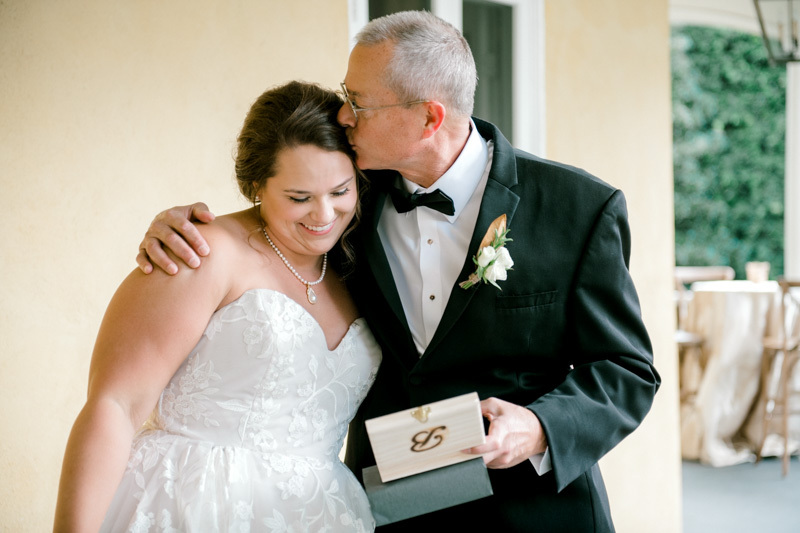 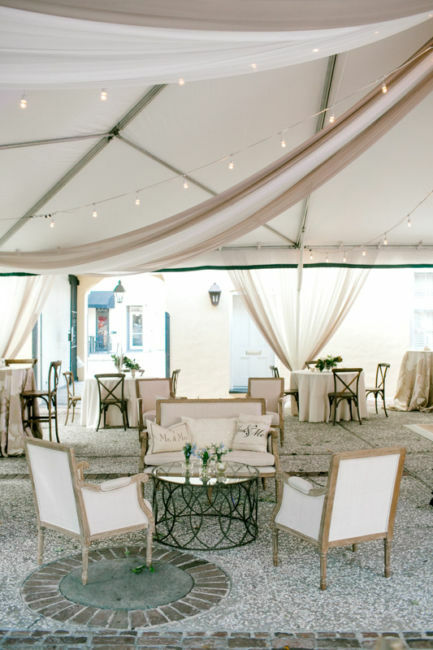 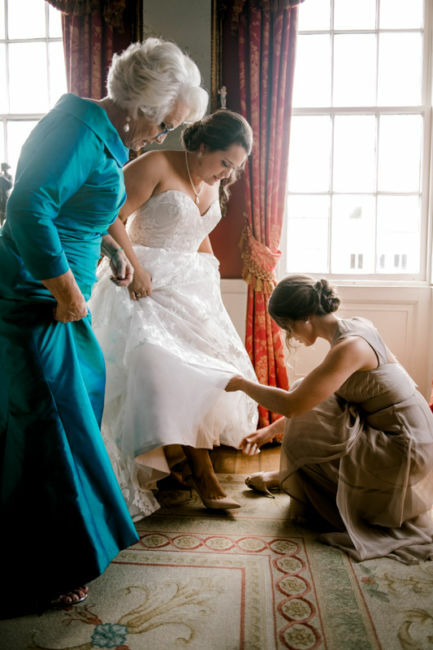 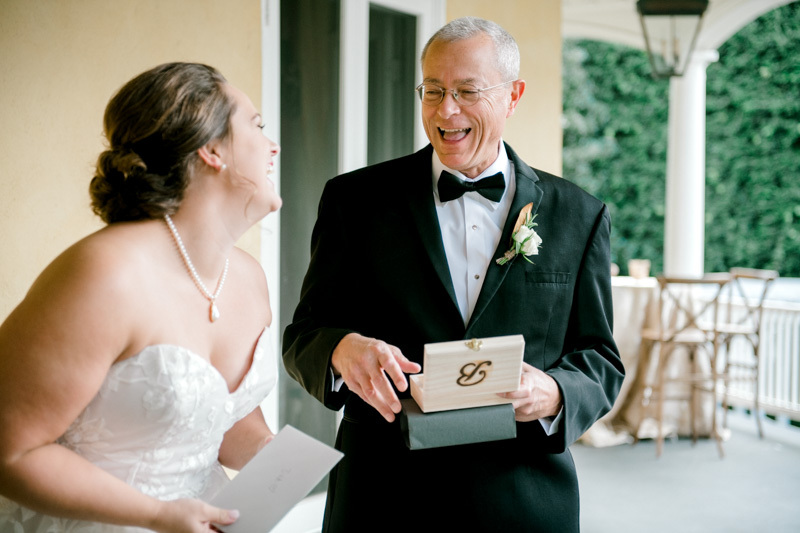 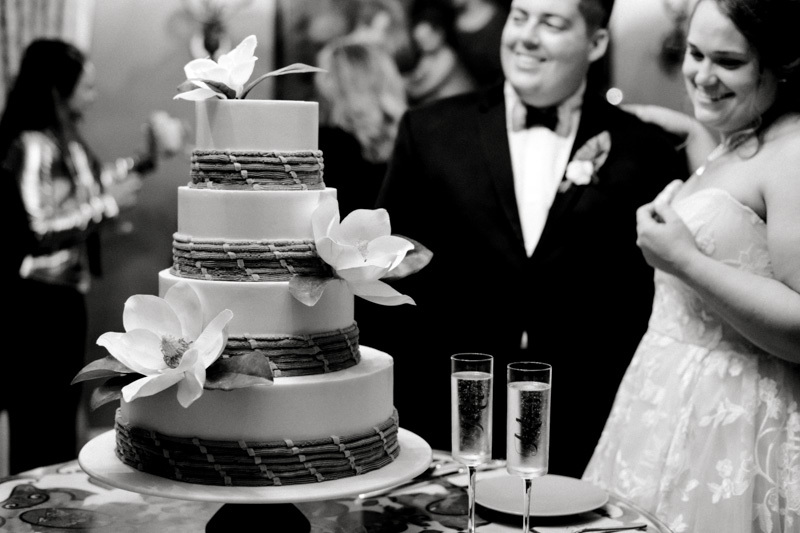 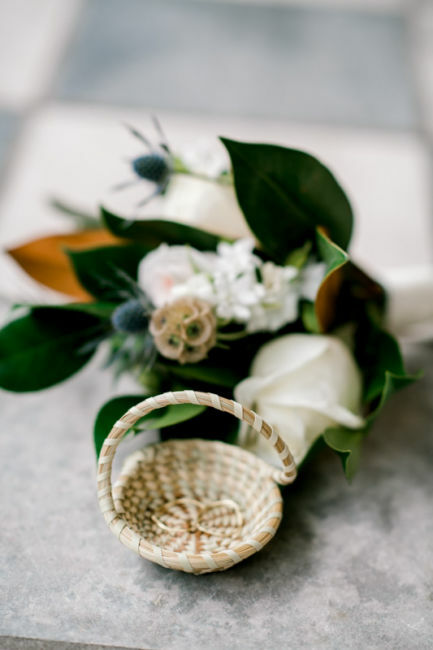 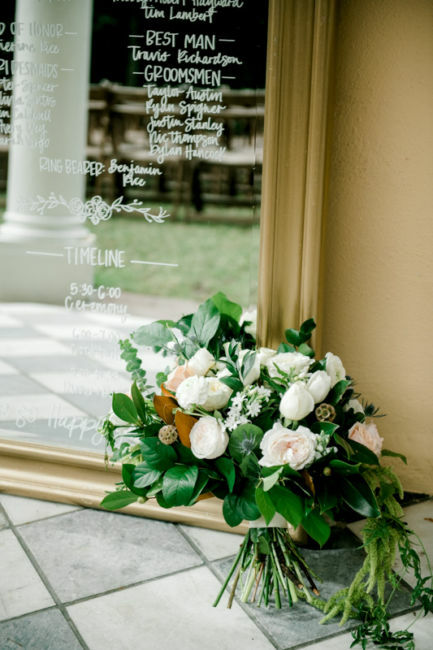 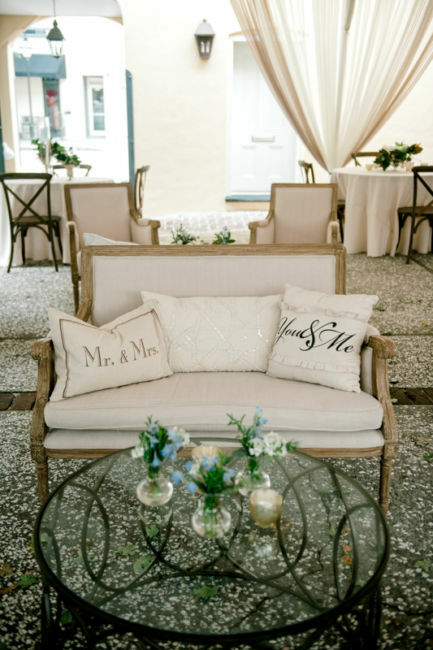 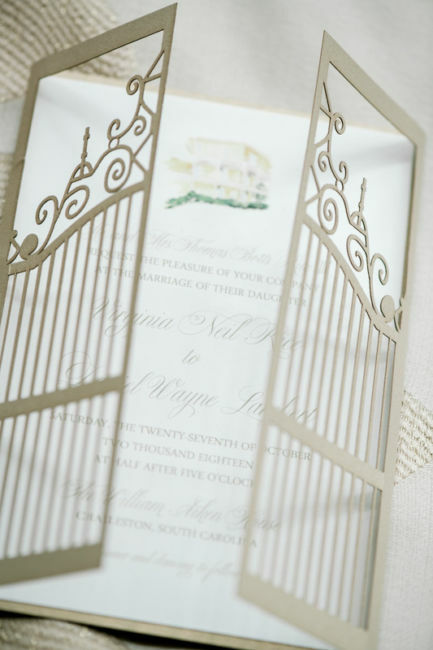 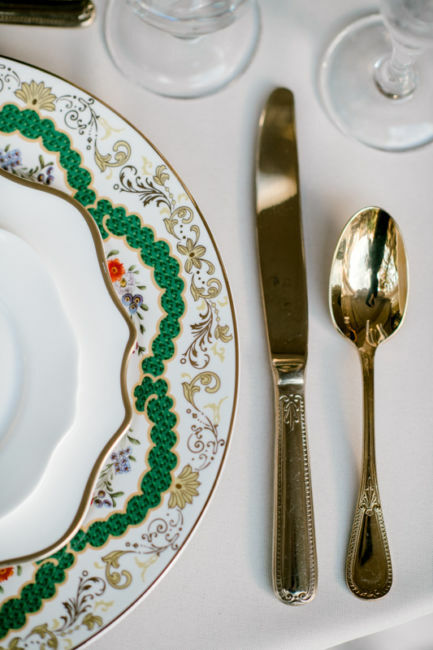 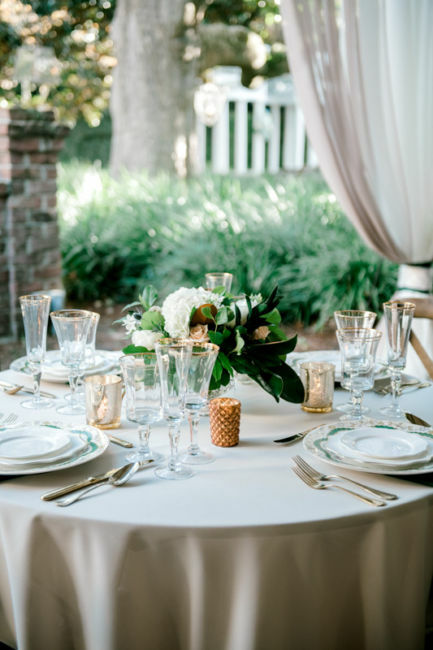 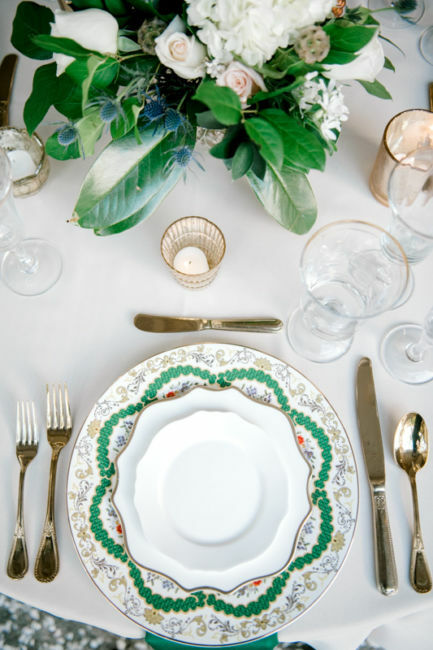 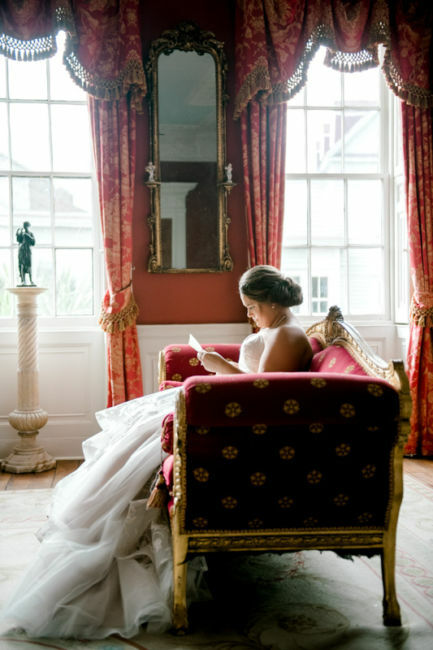 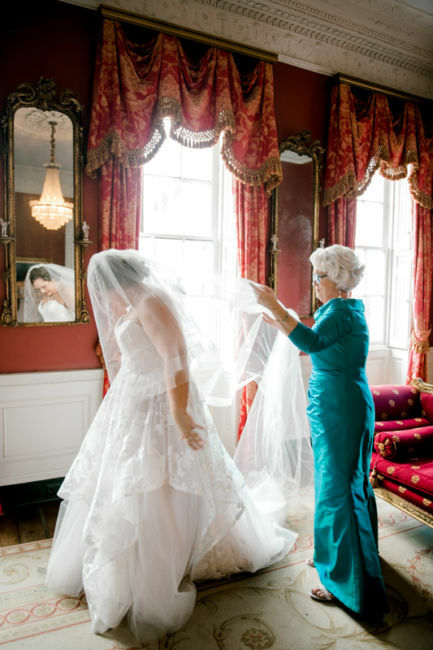 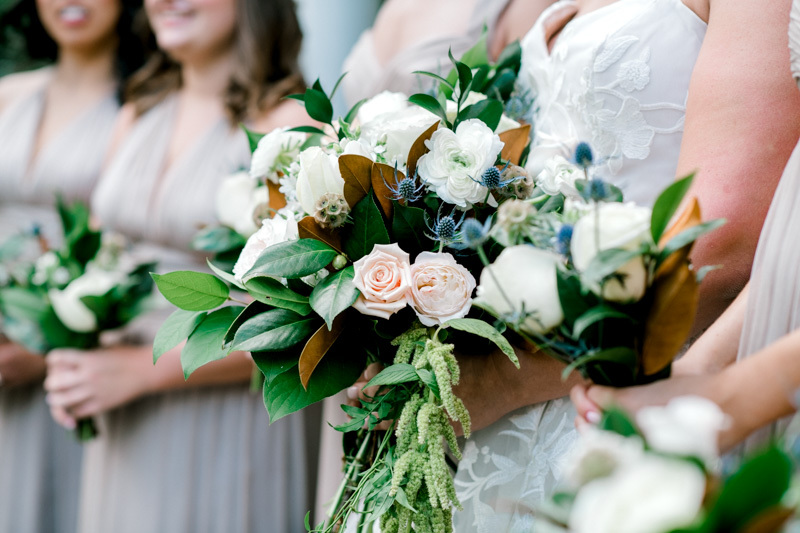 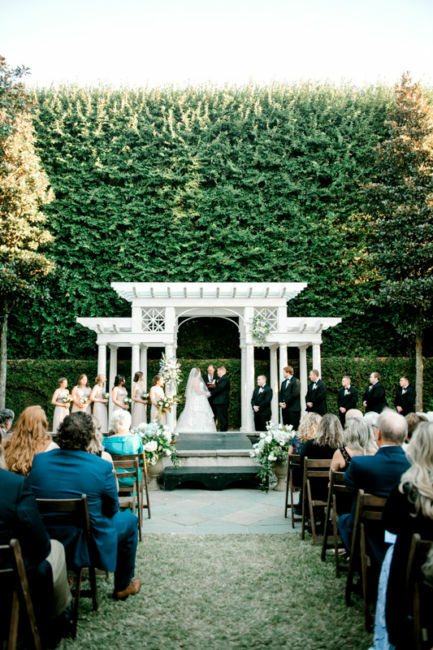 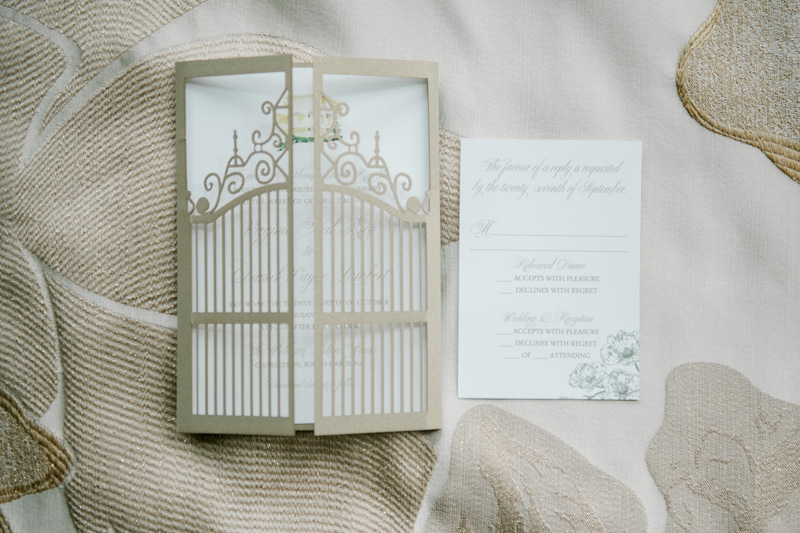 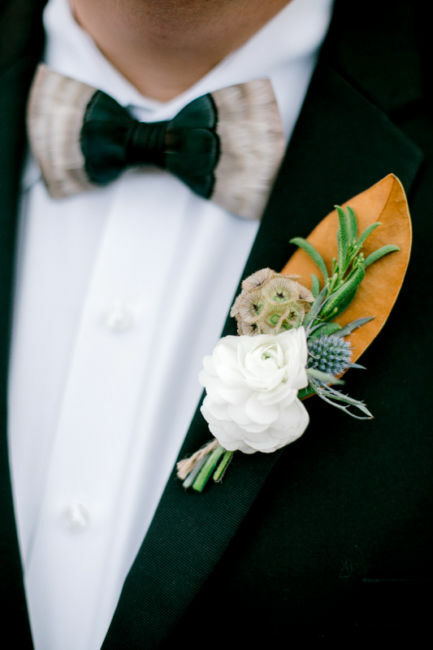 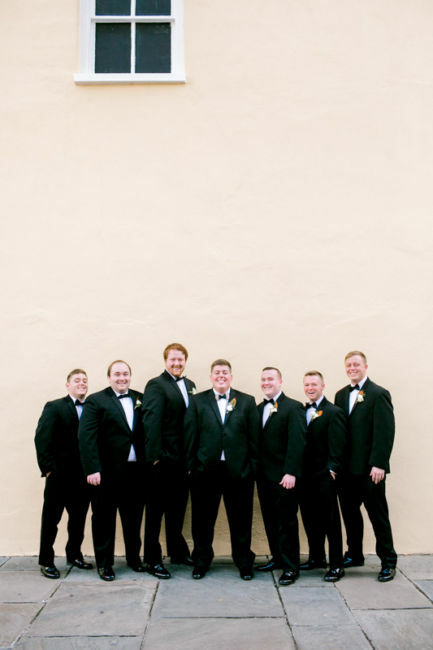 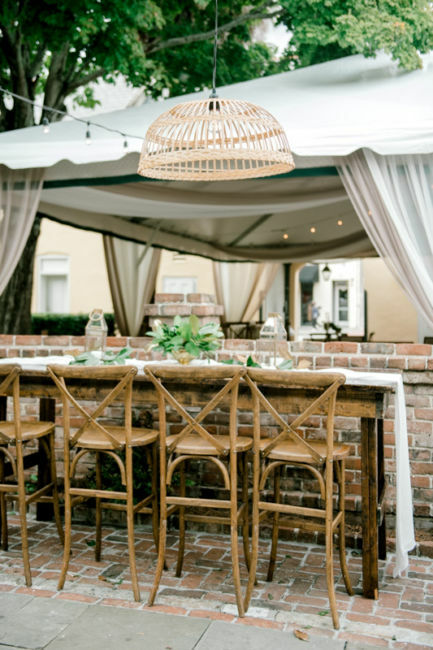 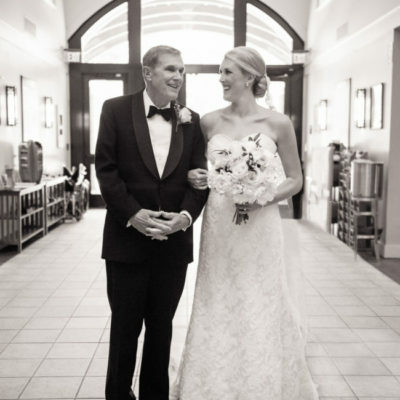 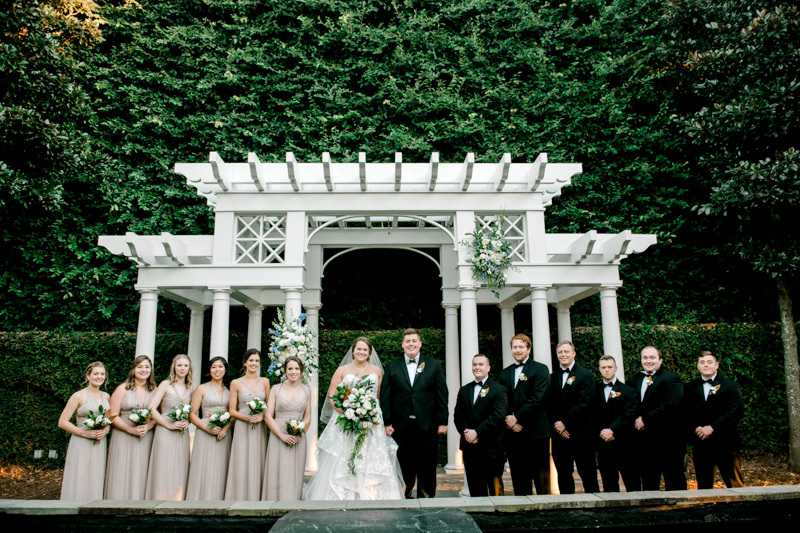 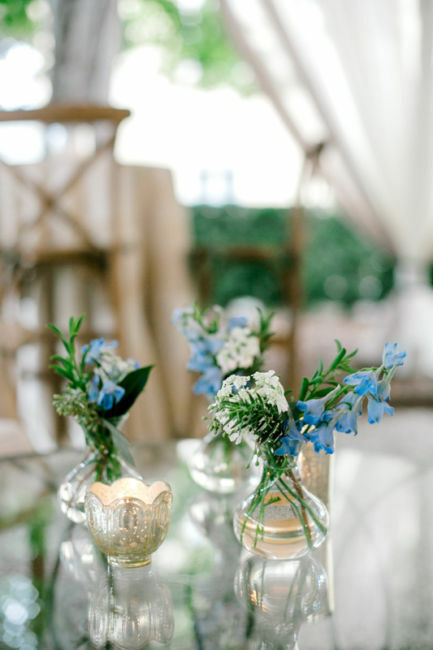 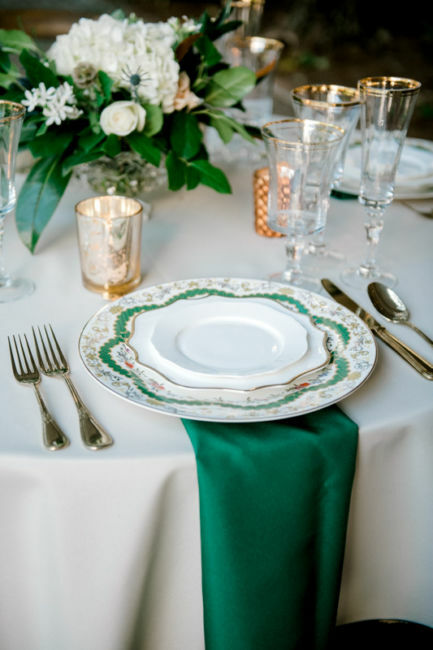 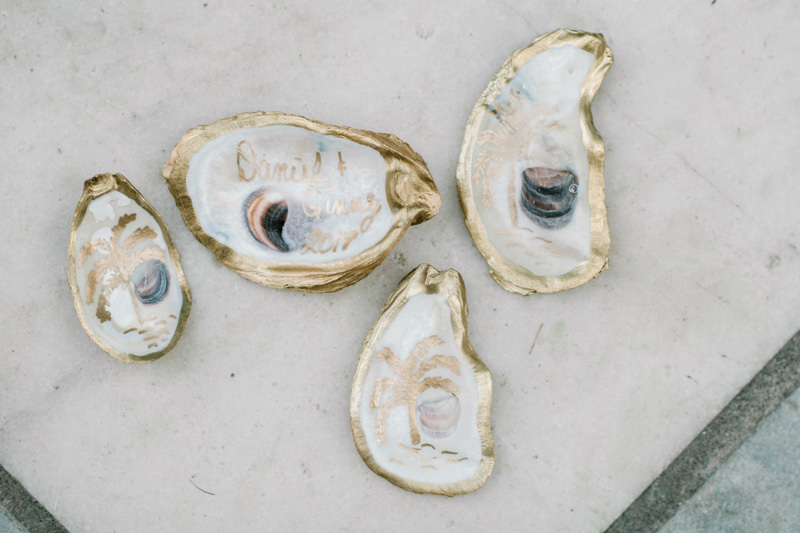 Jacqueline Volz with Sweetgrass Social did an effortless job planning the wedding. 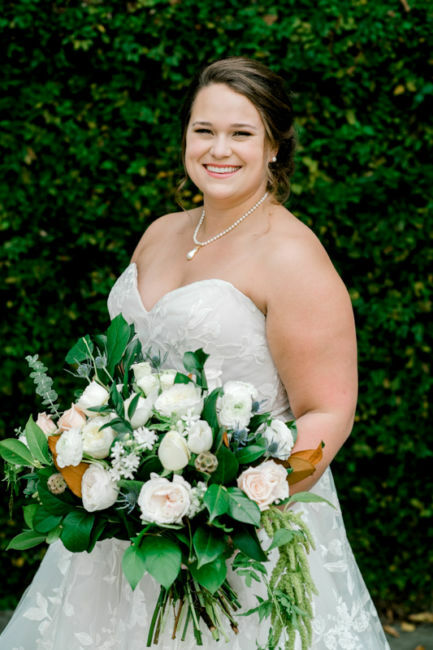 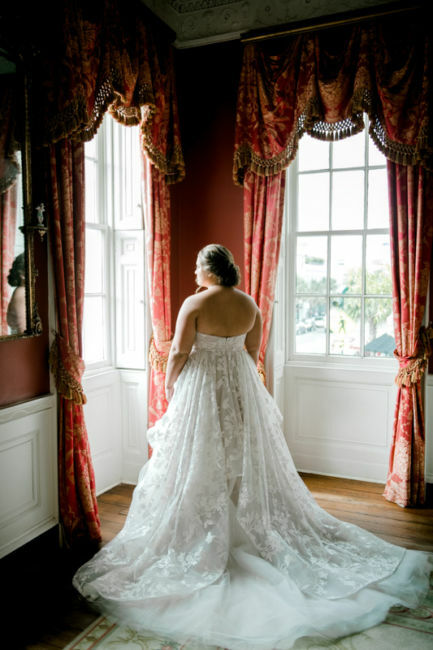 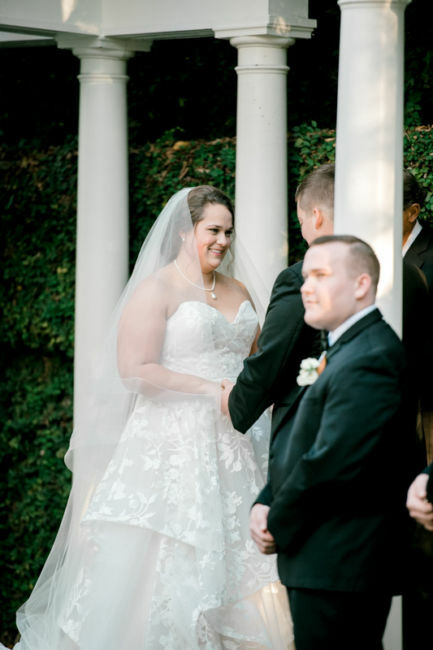 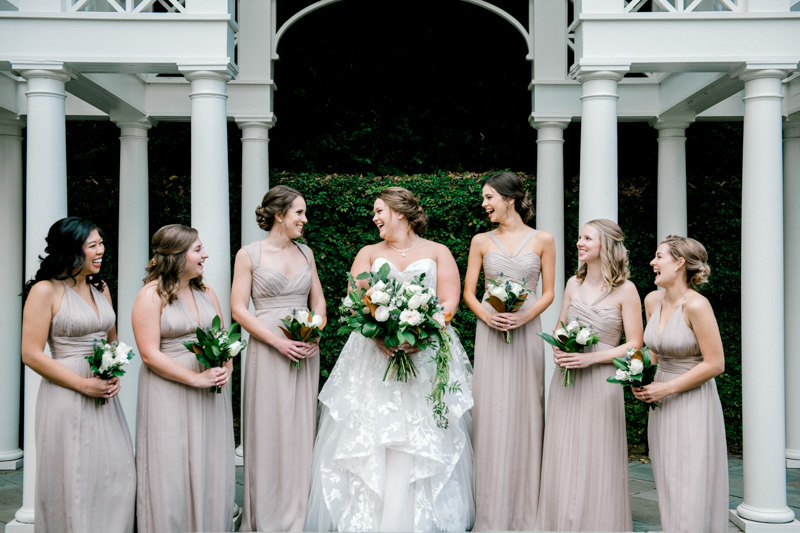 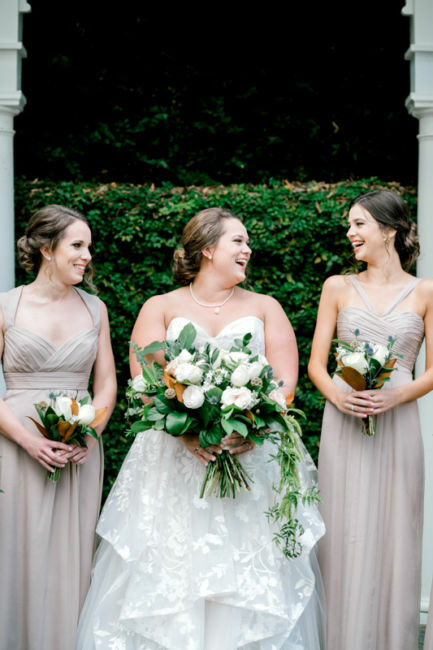 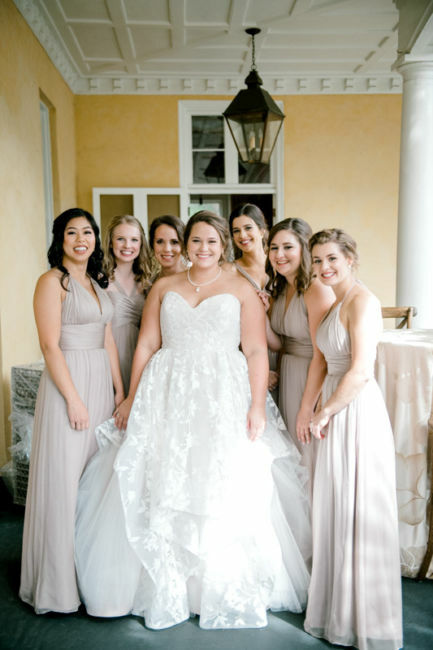 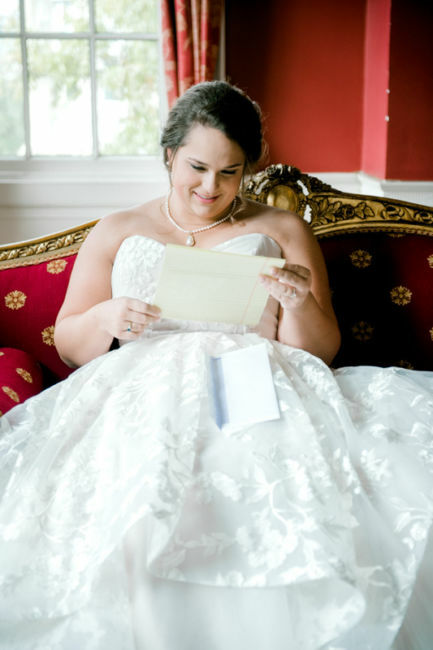 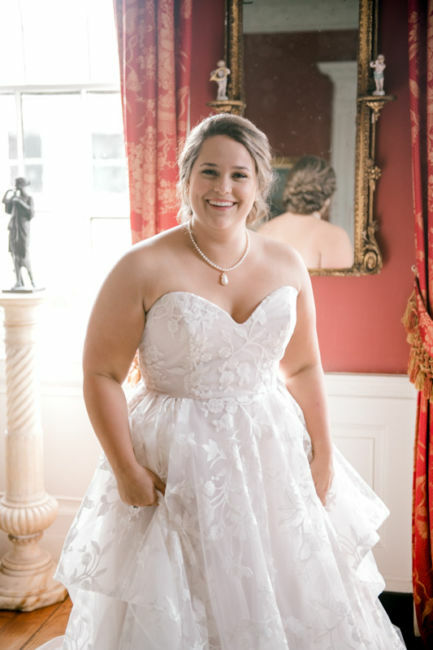 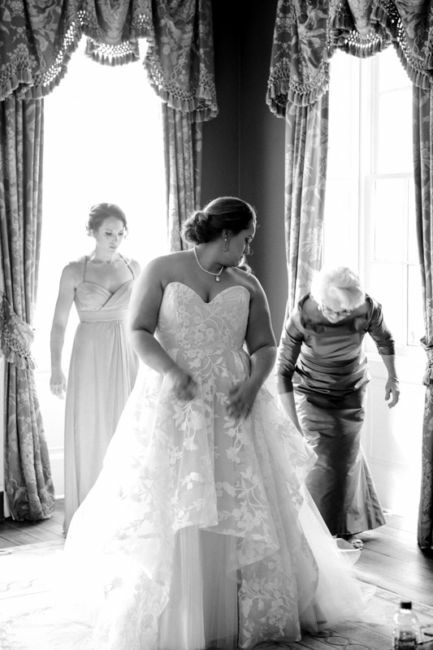 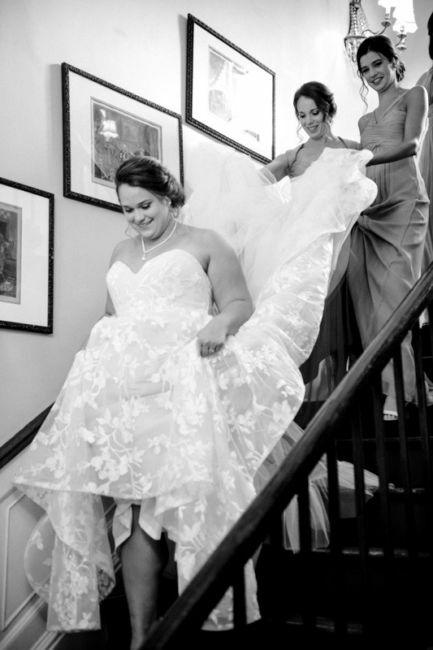 Ginny looked absolutely beautiful in her strapless and layered gown! 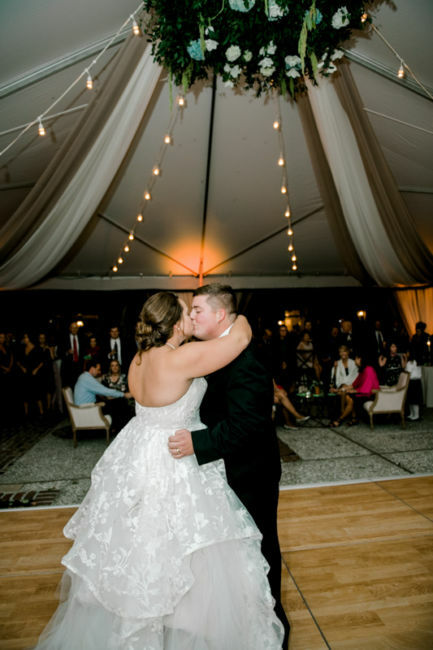 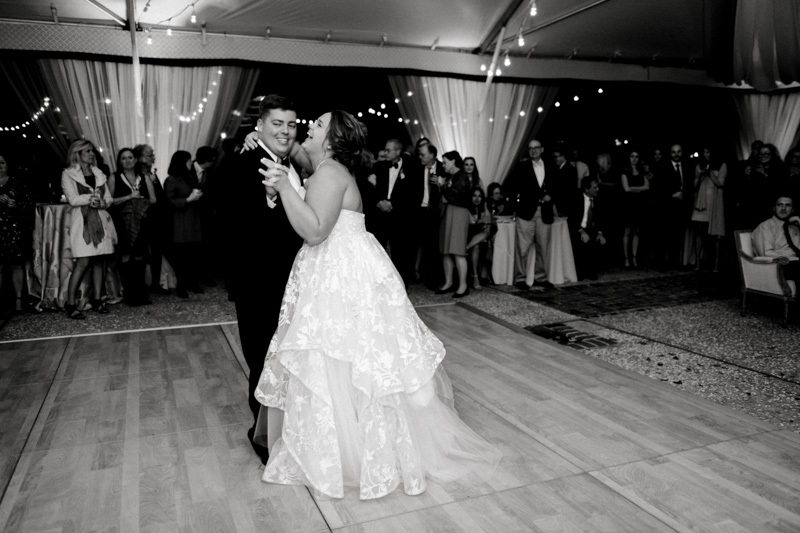 The newlyweds shared their first dance to “Perfect” by Ed Sheeran. 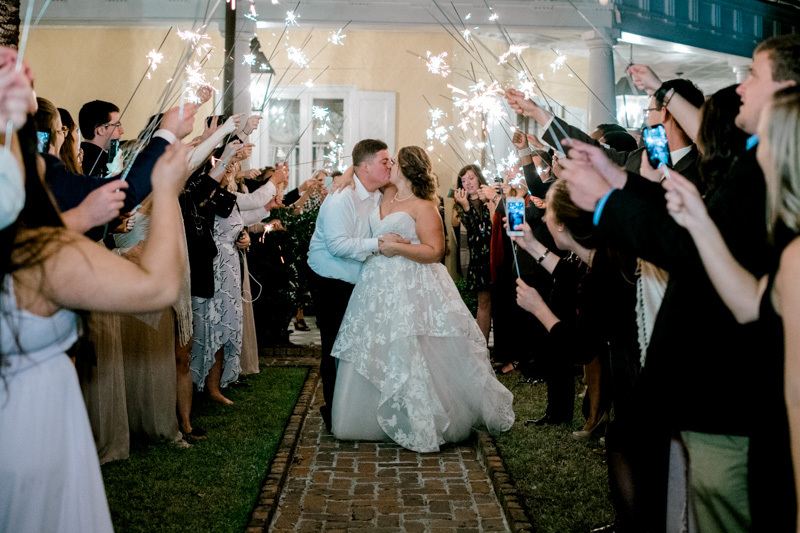 Family and friends celebrated all night! 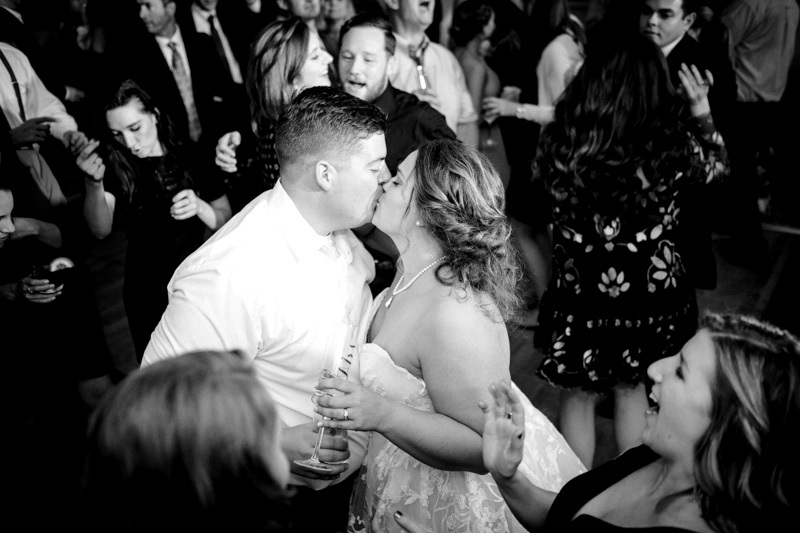 Ginny and Daniel wanted to make sure it was a big party and full of love and fun. 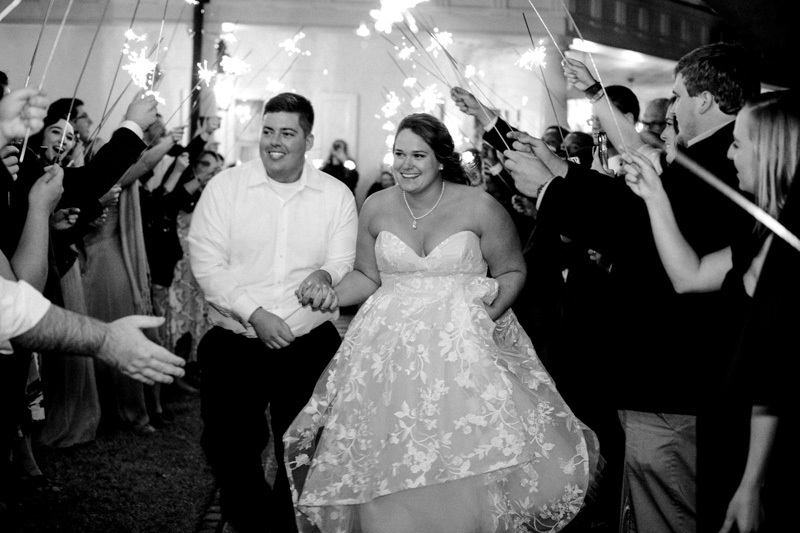 After the celebration, guests lined up for a sparkler send off of the new Mr. and Mrs. Lambert. 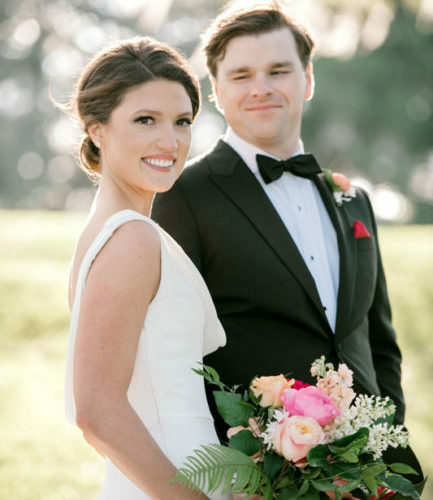 Congratulations Ginny and Daniel!